Department of Fisheries is a Department of Fiji’s Ministry of Primary Industries. To be the Best in the Pacific Island Countries in adding value to its Fish resources. The vision is based on the potential the Fisheries sector has to contribute to the national Vision for “Prosperous and Peaceful Fiji”. The sector has been given high expectation and will rise to the occasion to provide solutions to the “Peace, Unity and Multi-Racial Harmony” of the nation. 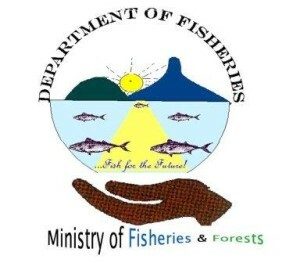 The Department of Fisheries was established with the aim to enhance the visibility of the sector and streamline decision-making so that it is more responsive and proactive in facilitating the sustainable development of the fisheries sector. This will be accomplished through strengthening its capacity building, institutional and infrastructure development. Greater emphasis is now placed on the value adding of fisheries products and effective participation of resource owners in the industries. We will expand and strengthen our activities within the above areas, as personnel and finances are adequate and opportunities arise, so that our overall goal growth targets are realized. Fisheries have long been a partner both in establishing Shark Reef Marine Reserve, Fiji’s first MPA dedicated to the protection and research of Sharks, and in rolling out the 2009 Fiji Shark Protection and Awareness Initiative. They bring to the table a wealth of knowledge and expertise as they have done extensive research on the value of mangrove ecosystems and their contribution to the fisheries industry. They are also very helpful in identifying prospective communities willing to be engaged in the project. With their nationwide reach and influence, they help foster broader awareness and outreach, thus allowing us to broadcast our foremost message, i.e. the importance of mangroves and the dire need to protect and maintain them.